In a previous post on this archival blog I had mentioned my shift from street photography to topographics during the 1980s. This shift emerged whilst I was photographing around Osborne, Gillman and Outer Harbor along the Port River estuary on the Le Fevre Peninsula. 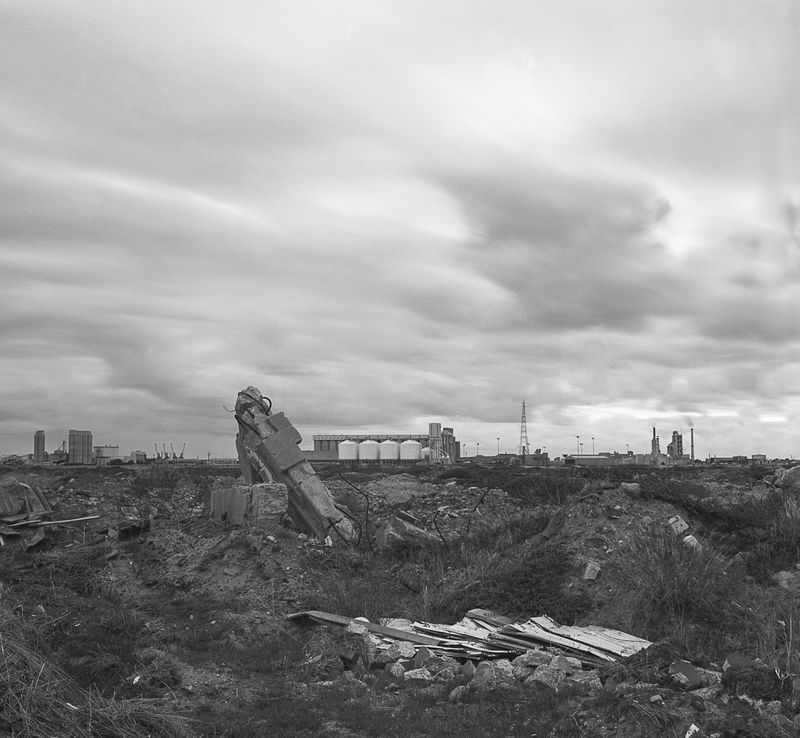 Another version of the topographical approach to this wasteland or ravaged landscape that was made in the same photo-session is here. 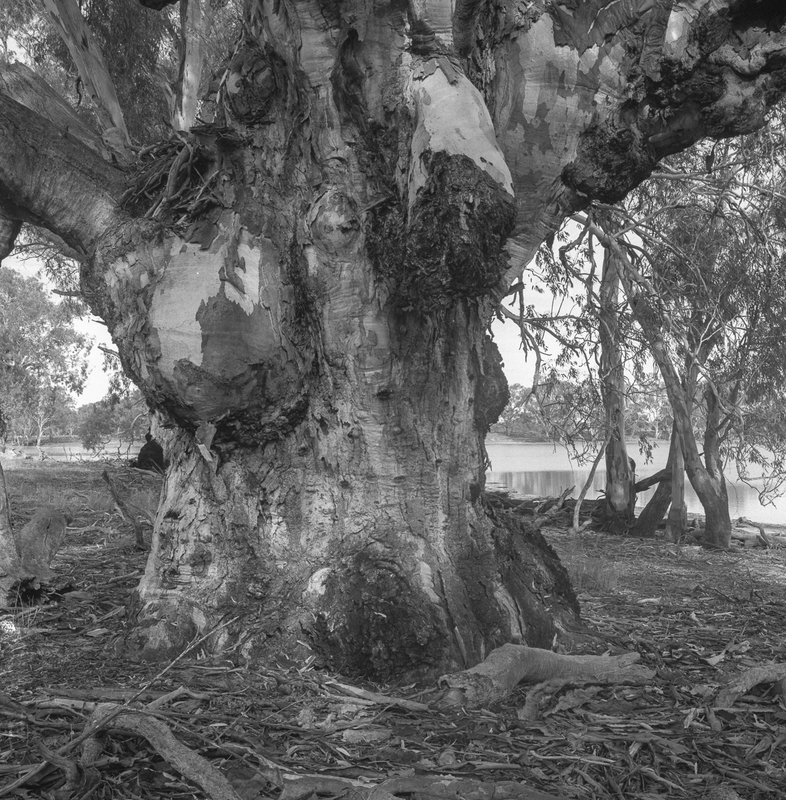 Whilst I was going through my archives looking for some better images to include in my portfolio for the Adelaide Photography 1970-2000 book— submissions have just been called— I came across a few images of River Red gums (Eucalyptus camaldulensis) along the River Murray in Victoria. 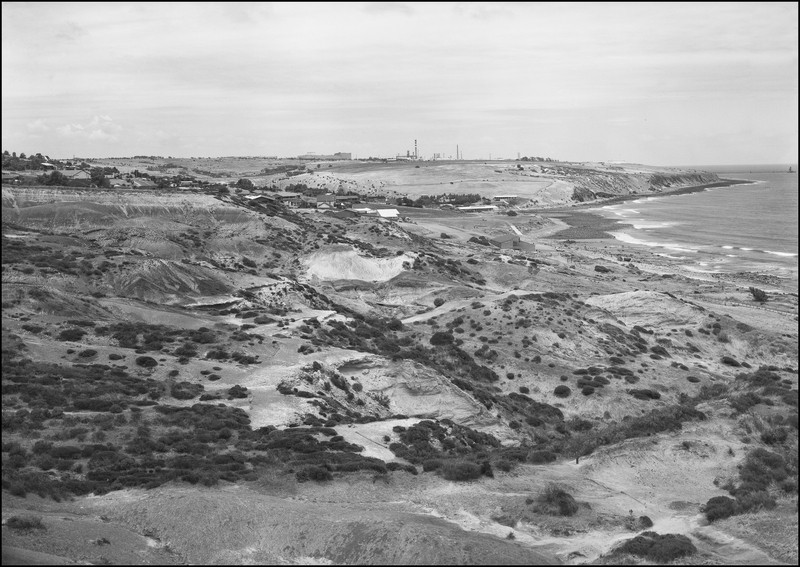 I had more or less over forgotten about these mid-1980s images, as they were mixed up with some of the sand dune images of Adelaide’s coastal beaches in the archive. 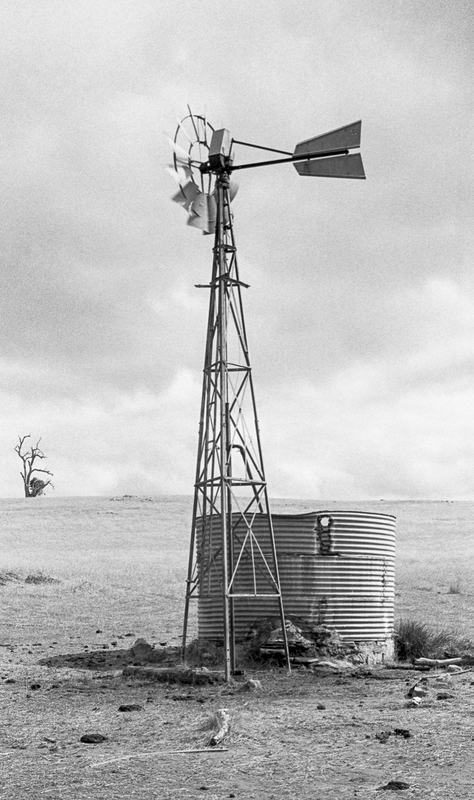 I have been going through my 35mm archives looking through images from the 1980s to include in a possible artist book for the Mallee Routes project. This would be a book that is associated with the initial Mallee Routes exhibition at the Atkins Photo Lab in 2017. I just left a pile of small prints on a table for people to look at. It wasn’t a very successful mode of presentation. I came across this image of an agricultural landscape in the Mt Lofty Ranges amongst a number of other images of the Mallee and the Riverland. From memory, this picture would have been made with a Leicaflex SLR whilst I was on a day trip around the Mt Lofty Ranges in the VW Kombi. 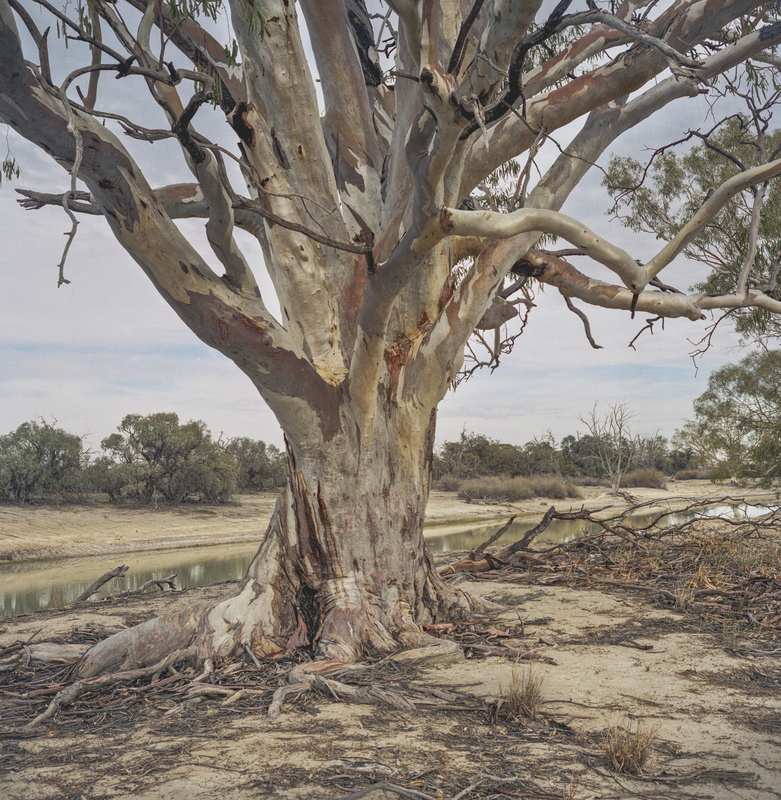 This is another image from one of my visits to the Chowilla Flood Plain in South Australia’s Riverland region. This floodplain was listed as a Wetland of International Importance in 1987 under the Ramsar Convention. 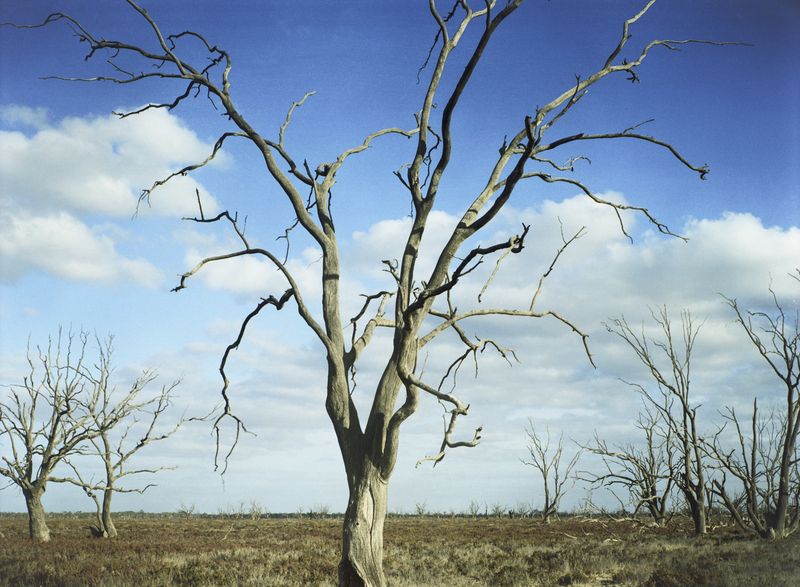 This picture of dead trees on the Chowilla floodplain in South Australia was made during the decade long drought in the Murray-Darling Basin, which ran from around 2000 to 2010. It broke with the emergence of the La Niña weather conditions in 2010. The photo was made about 2003/4 with my old Linhof Technika 70. 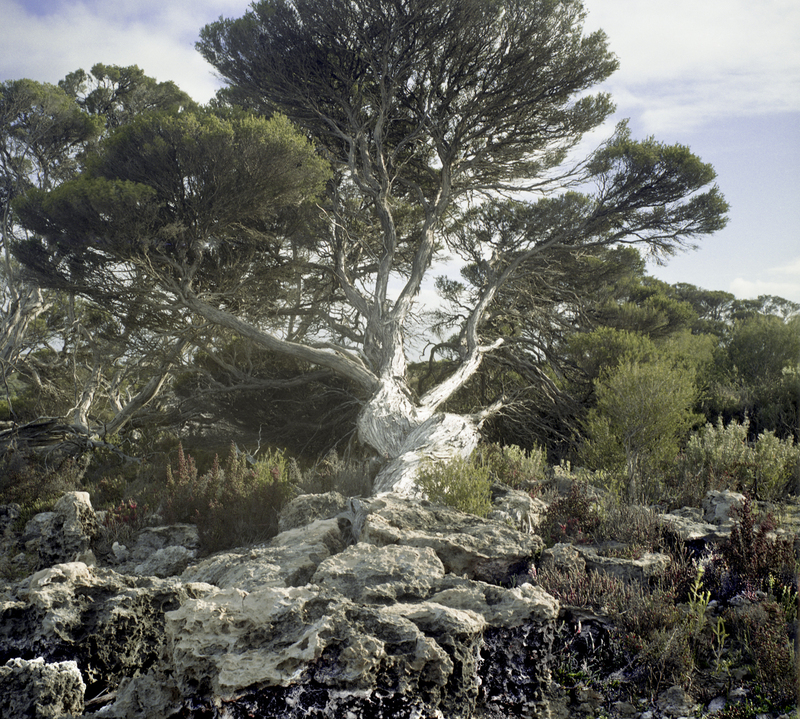 This picture of a melaleuca in the morning light was made on an early trip to the Coorong in South Australia in the late 1990s. We stayed at some cottages at a property called Gemini Downs, which was just north of Salt Creek. I remember that it was very cold at night and that the heating in the cabin was minimal. MOMENTS OF BEING "I have a deeply hidden and inarticluate desire for something beyond daily life ..." Virginia Woolf.